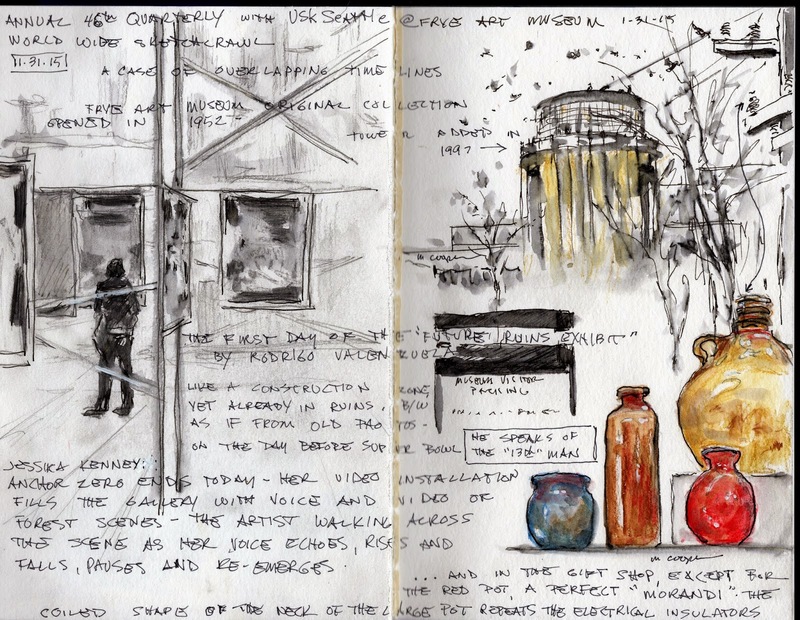 I met up with Seattle Urban Sketchers for the 46th Quarterly Worldwide Sketch Crawl at the Frye Art Museum today. The experience was a case of overlapping senses and time lines. It was multidimensional. Stillman and Birn Beta, graphite, Lamy pen, water soluble black ink and watercolor pencils. I arrived early enough to sketch the domed tower from my car outside in the free parking lot. As far as I know, the dome is the only addition (1997) to the architecture of the building since the collection opened in 1952. At the same time, a cafe and reflecting pools were added on the north and west side of the building. Various interior remodeling projects have ensued. 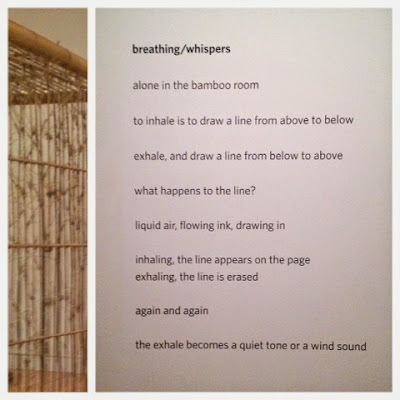 I hadn't thought of breath as line before. I wandered through rooms occupied by wall-sized videos of a figure walking through dreamlike forests, all in gray scale tones of black and white. The tonal scales of voice rose and fell, following me through to a side room of the next exhibit. Already suffering from mid-winter grays, I found the color break I was craving in the gift shop. Giorgio Morandi himself (1890-1964) could have placed this collection of pots on one of the upper shelves. It warmed my cold winter palette and made me smile. I felt present, past and future swirling around me at the museum today.